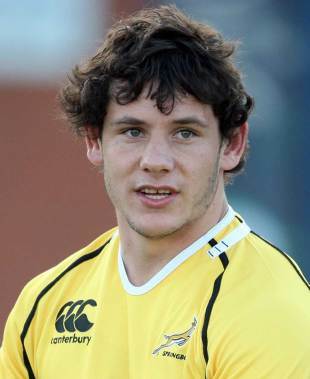 A local boy, Coetzee made his Super Rugby bow for the Sharks midway through the 2011 season before a strong run in their Currie Cup side, where he was an ever-present. Bringing together a good work-rate and ball-carrying game, he continued to improve in 2012, when he was rewarded with a call-up to the South Africa squad to face England. In Heyneke Meyer's first starting XV, for a Test on his home track in Durban, Coetzee was one of three new caps named.